I love jewelry - And I especially love affordable jewelry! 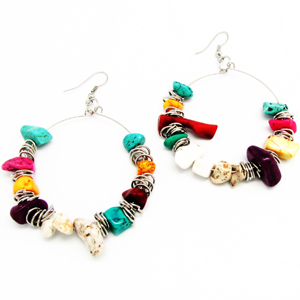 Well Paparazzi Jewelry, and accessories, are extremely affordable. Each piece is only $5.00! Even though these pieces are really cheap, they are still extremely nice looking, and fun! I would definitely wear these out anywhere. You can wear them on a simple night out with friends, or you can wear them on fancy nights out with your partner. 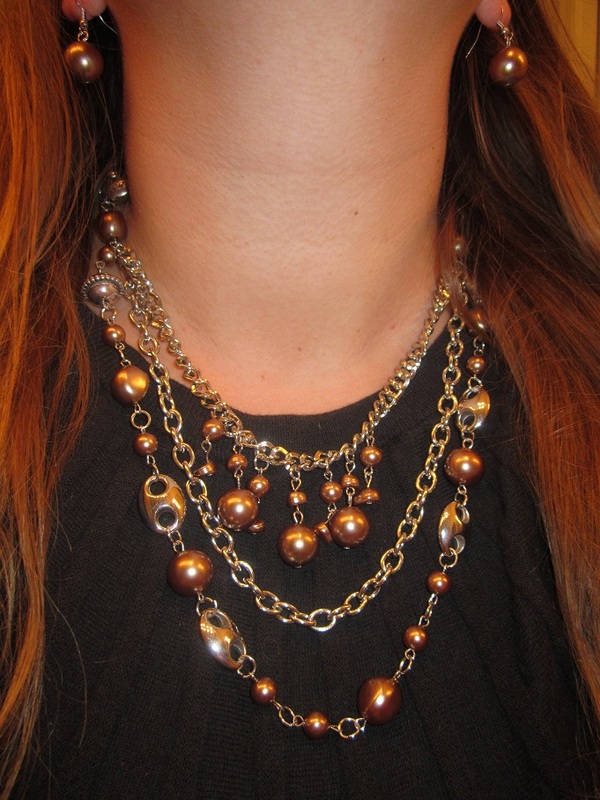 I really love accessorizing, and I am so grateful to have found Paparazzi jewelry. I probably spend hundreds of dollars each year on jewelry; And it still seems like I don't have a huge collection to choose from. That's because I spend $15.00-$20.00 (or sometimes more!) on just 1 piece! Well with $20.00 I could buy 4 pieces from Paparazzi! So I've figured - I usually get about 1 piece of jewelry once every 2 weeks, so if I were to get 1 piece every 2 weeks for $20.00 each, I would end up with 26 new pieces in a year. If I spent $20.00 on Paparazzi jewelry instead, I would end up with 104 pieces! The best part is, I wouldn't be giving up style or quality either - Because Paparazzi jewelry is both stylish, and high quality! The earrings have this really boho feel, that I just love! I could wear these to the beach, or out to dinner! 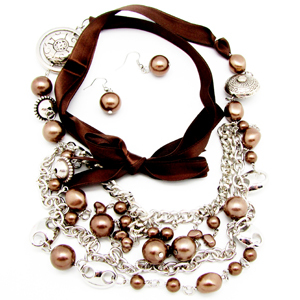 Then I would say my second favorite was definitely this amazing chocolate pearl colored ribbon necklace (with matching earrings). I thought the color was really beautiful, and I was really drawn in by the ribbon closure. I've never had a ribbon closure necklace, and I thought it was pretty neat! The only down fall, is that, I think it might look a little silly if you wore your hair up with this necklace, and there was a giant ribbon on your neck, but wearing it with your hair down? Definitely! It's really sophisticated looking; In my opinion. I really enjoyed the unique shape of the ring, and the sparkle it brings to your hands! This ring has a pinch closure - So it fits any size! 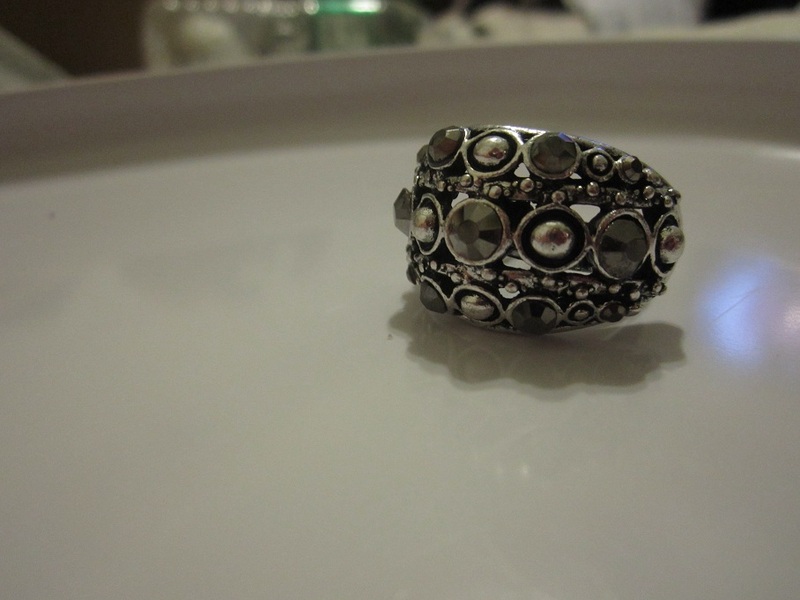 It was hard to choose between the previous ring, and the next one. I love the unique yellow stone in the middle, and I love how giant the whole ring is! Very flashy :). This ring also has the pinch closure - To fit any size finger! 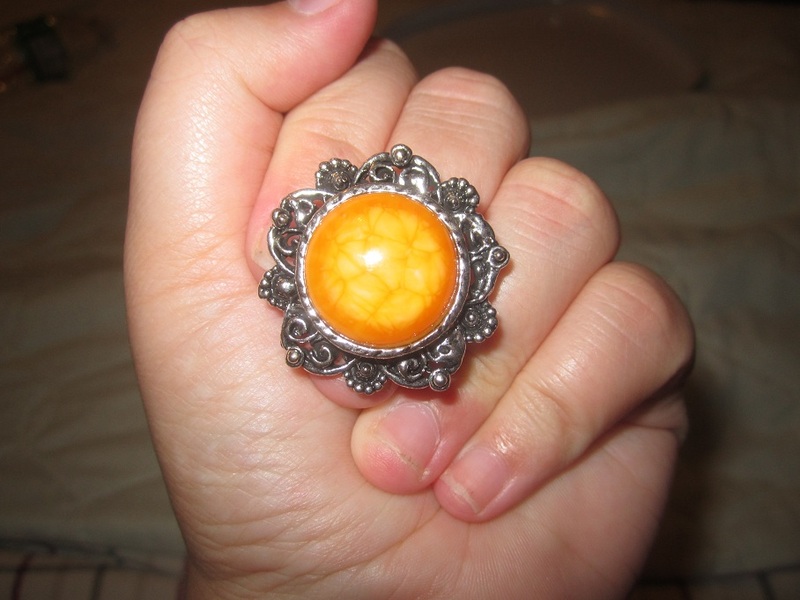 Next would be this really pretty "burst" ring. It's very large, and definitely catches attention! This ring in particular has a stretchy band, so it fits all sizes! 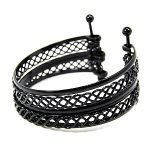 And then I also chose this edgy black bracelet. It looks nice, and is comfortable to wear. After choosing it, and wearing it around, I just realized it wasn't quite my style. 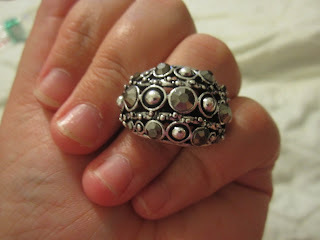 And I also received a cute toe ring from the Starlet Shimmer Collection on Marie's Blog. Everything on that page is ONLY $1.00! I love Paparazzi jewelry and accessories! They are affordable, high quality, and cute! I will DEFINITELY be shopping Paparazzi this holiday season! Also- If you would like to sign up to become a consultant - You can! If you sign up now, you can make 45%! You can sign up HERE. And find out more about becoming a consultant HERE. The selection from the Rings N' Bling Paparazzi website is constantly changing- So if you see something you like, you better get it before it's gone! Disclosure: Review product was provided to me free of charge. All opinions expressed are my own, and were not influenced in any way. Facebook is in no way involved. This giveaway ends October 20th, 2011 at 11:59 pm. Winner is drawn via Random.org, and will have 48 hours to respond to my email, before a new winner is drawn. I couldn't find names for any of the pieces, but I like the feather earrings! 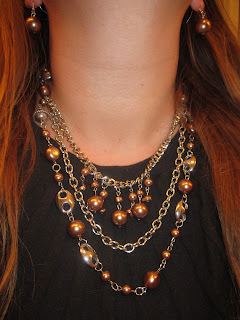 The tiny photos are hard to see, but I love the multi-layered necklaces. here were no names but i love the rings and the feather earrings. thinking about a party.. I love the yellow burst ting. It's gorgeous! 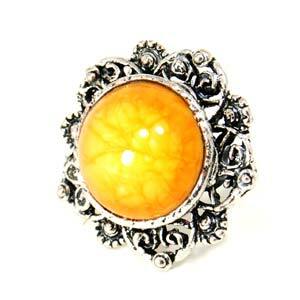 I see a white flower ring that is nice. There is a large statement bracelet that looks like three large coins which is nice. I like the bracelet that is three large flat "coins". I learned that they have jewelery and hair accessories! I learned that Paparazzi started as a way to raise extra money for Disneyland. I like the first set of intertwined bangle bracelets and the one that looks like big coins. Oo--I see they raised money for Disneyland. That makes me a huge fan! I love jewelry and Disney! I love the adorned ring you have pictured above! 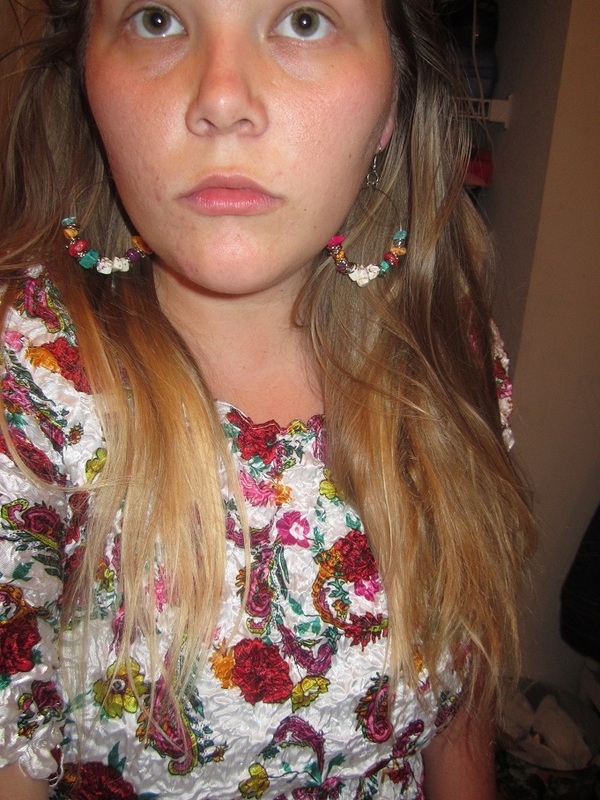 I like the multi-strand necklaces.